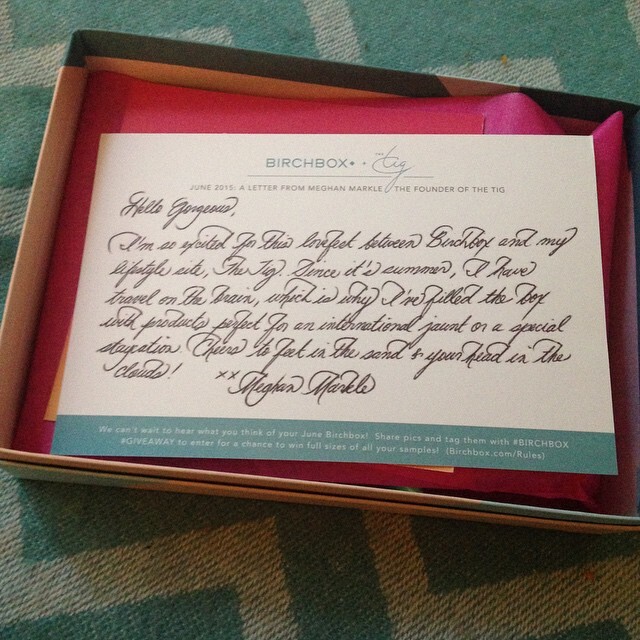 I am loving Birchbox’s guest editor collaborations and sample choice. One can chose either a sample or the guest editor box. For the month of June I went with the guest editor box because, it includes a Davines product that I had never tried before. Meghan founder of The Tig lifestyle blog selected products that would be essential for a summer escape and I could not be happier with her selections. Summer for me means playing in the sprinkler with my niece, farmers markets, and unexpected road trips. I am a weekend warrior who tries to squeeze a lifetime of memories into just two days. Whether its outings with Jay, drinks on the patio with friends, or collecting shells on the beach with Sophia, I let every drop of sweet summer soak in. My beauty routine usually falls to the back seat and sunscreen and a good BB cream are my trusty weapons. My hair its to frizzy to tame so a bun is my go to style along with a cute dress or skirt. This girl rarely does shorts and I am perfectly ok with that, just as long as my pasty legs see the sun. Davines SU Hair & Body Wash: This rich gel cleanses head to toe, hydrating skin and preventing sun damage to strands. ————————–> This, this right here is my new go to body wash. It literally smells like a bomb pop or like summer in a bottle. It leaves my skin feeling so soft and fresh. 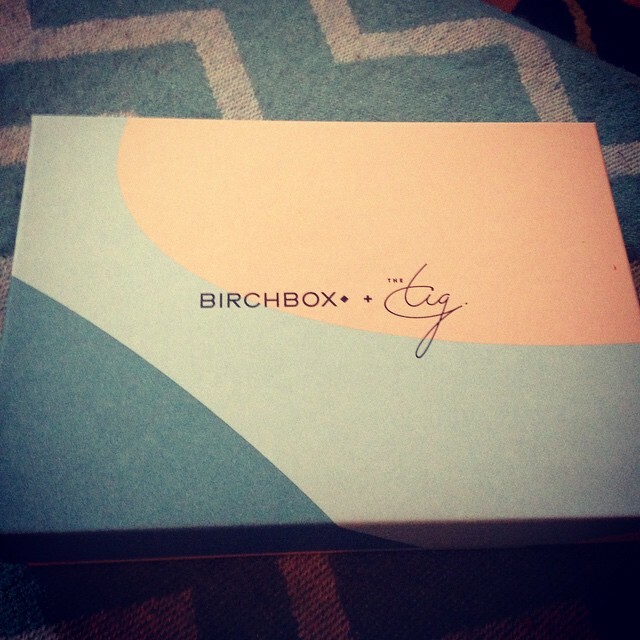 After the first use I instantly ordered the full-sized product from BirchBox.com, yes it is just that darn amazing! Harvey Prince – Hello Body Cream: infused with summery citrus and floral notes, this hydrator leaves your skin feeling soft and lightly scented. ————————-> This is a good summer scent, it is very light and it has a hint of lemon. Marcelle BB Cream Golden Glow: this multitasker, rich in antioxidants, covers imperfections, evens tone and calms skin. ———————> I am certain this must be a great product otherwise Meghan wouldn’t have picked it for her box. The shade I received is just to dark for my skin tone. Oribe Cote d’Azur Eau de Parfum: reminiscent of the fragrant breezes of the French Riviera. Real Chemistry Luminous 3-minute peel: this acid-free peel gently exfoliates for instantly smoother, softer, and brighter skin. ————————> This was my sample choice product for May, so I now have two of these bad boys. I have seen it in previous sneak peeks and it left me intrigued and I knew that i needed it in my life. I have yet to try it thou, it is giving me the sad eyes from the bathroom sink. I keep telling it when I have time, its you and me peel, its you and me. 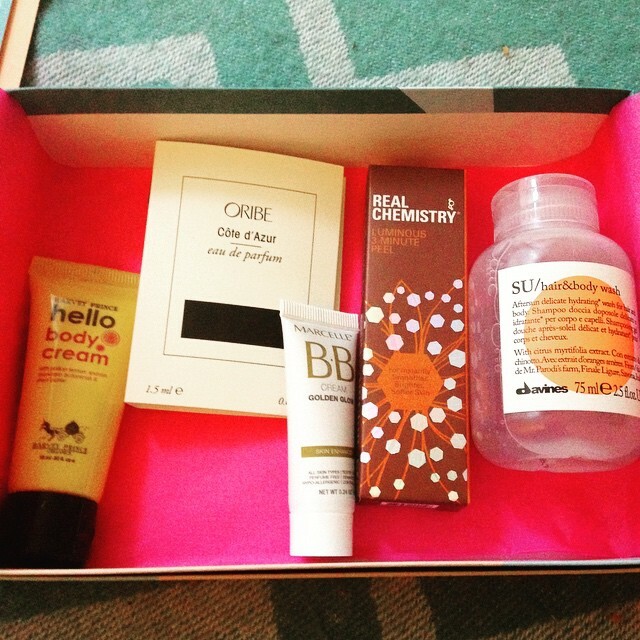 This was a great box and all of the products complimented each other. I loved that there was a good mix of skin care and body products. Everyone can use a travel size lotion and not to mention the Davines sample is like a giant not your normal BirchBox sized sample. I hope all of you loved your box as much as I loved mine.